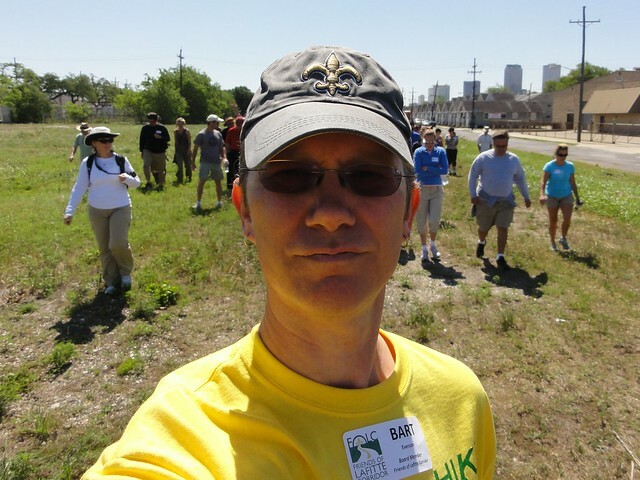 A nonprofit I helped found, the Friends of Lafitte Corridor, has a shot at $10,000. Here’s how: You have to vote for me. FOLC nominated me for the Louisiana Cox Conserves Heroes program. Now I’m a finalist. While I’m deeply honored to have gotten this far, I really want to see us win this thing. And that’s a tough challenge. Because I’m competing against some pretty awesome people. So vote. Sure. That’s the first step. Then share this link with everyone you can. Use your fancy social media networks or send a good old-fashioned email. If you know anyone who supports the recovery of New Orleans — anyone who like the idea of a multiuse urban greenway — anyone who likes bicycles and walking — anyone who wants a greener future for our children — please share this with them. Thanks for your support. And check back here next week for a real update on me and my life. I think this is amazing person to do this project.